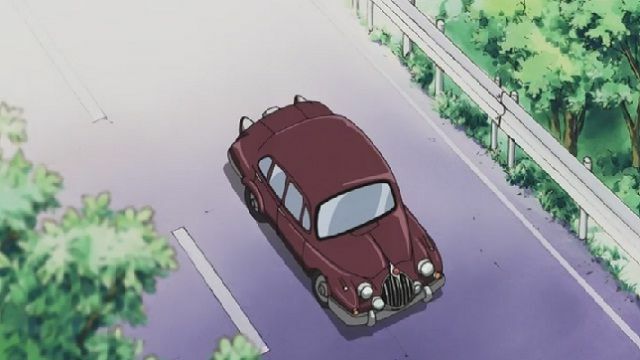 IMCDb.org: 1960 Jaguar Mk.II 2.4 in "Kaibutsu ôjo, 2007"
This caricature would be a real Jaguar S-Type, or a Mitsuoka Viewt ? Or is it actually meant to be a Jaguar MK2? 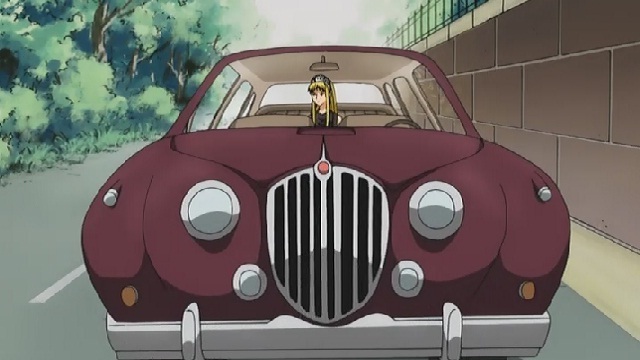 The Mitsuoka wouldn't have front quarterlights. Jaguar MK2, see side windows, hood shape, front indicators, rear wheel arch. The Viewt doesn't have rear quarterlights either. Grille badge is black outer, red centre = 2.4.